911 Restoration Miami has made itself around the clock and within a 45-minute response video. Customers deserve a restoration company that looks out for them in regards to any form of invasive water. Coral Springs experiences more rain on average than most of Florida. With an average annual precipitation of 62.25 inches a year, 9 inches of rain a month, and humidity at an annual level of 77%; there is plenty of room for water damage to occur. Our highly knowledgeable and trained water damage Coral Springs technicians know how to get homeowners back into the proper state of mind. Fixing damaged building materials starts off by finding the areas where moisture still exists. Our water damage Coral Springs pros do this by utilizing infrared cameras to find the areas where water masks heat. Our techs keep our office representatives available 24/7/365, so our water damage Coral Springs experts can assist you even during the most inopportune times, such as holidays. With so many years of experience in the industry our professionals understand all factors about water-related issues, and the knowledge needed to properly and thoroughly remediate any situation we are faced with. Even if you are just curious about whether or not you are facing water damage, call our water damage Coral Springs professionals and we will be out there in a moment. The experts here would like to detail the signs of water damage done to a Coral Spring homeowner’s roof or ceiling. Our water damage Coral Springs pros understand the nuances of restoration work because we have been in the business for many years. Once we find it we use precision techniques to remove paneling, and then our water damage Coral Springs team uses our blowers to start circulating air the in the effected space. Lowering the ambient humidity in the area increases drying time while saving other areas in your home from the consequences of things like mold. Crumbling drywall next to the crown moldings. Water seeping through when it rains. Mold growing from a particular corner. 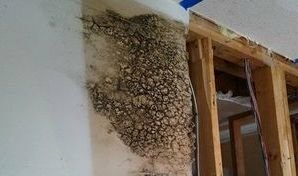 Even if you encounter something like a fungal infestation, our all-in-one team can remediate that situation for you too. 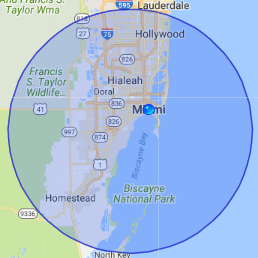 Call the experts at 911 Restoration Miami for water damage Coral Springs solutions you can count on. We will be there guiding you through all of it, our promise. The water damage Coral Springs team at 911 Restoration wants you to be prepared for all the rain you may experience. So, we have drafted you a lovely and concise guide to preparing your home. First thing we should talk about are gutters. They are pivotal in transporting water from your roof to away from your home in a safe manner. To illustrate, the shingles of your roof and the railing work to sheek water away, once in the line, it runs downwards until it spills out from the other end. Now, it is important to keep in mind that it is all about moving liquid from the home. So, if if your gutters do not move water at least 3 feet away, then you definitely want to look into extending it. Moreover, make sure that your railings stay free of leaf litter and other debris. If they cannot drain water successfully then it can harvest mold growth and pool water, thus affecting your roof. Now, as previously mentioned your shingles work in symbiosis with your rails. Therefore, you should check on the conditions of your shingles to ensure that water is not slipping by into your ceiling or insulation. The best time to do this is in the drier season, but at any moment, when you notice a roof leak, call the water damage Coral Springs team at 911 Restoration Miami. We will help you out.